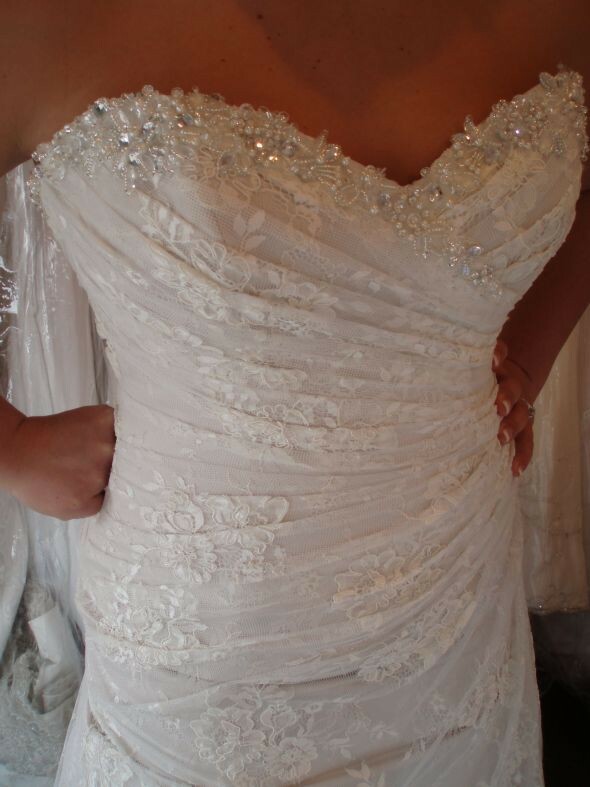 Beautiful Maggie Sottero Strapless All Lace Wedding Dress with Veil in excellent condition. Worn only once and was immediately dry cleaned and boxed at professional cleaner specializing in wedding dresses. Please contact with best offer! Ask for Faye.